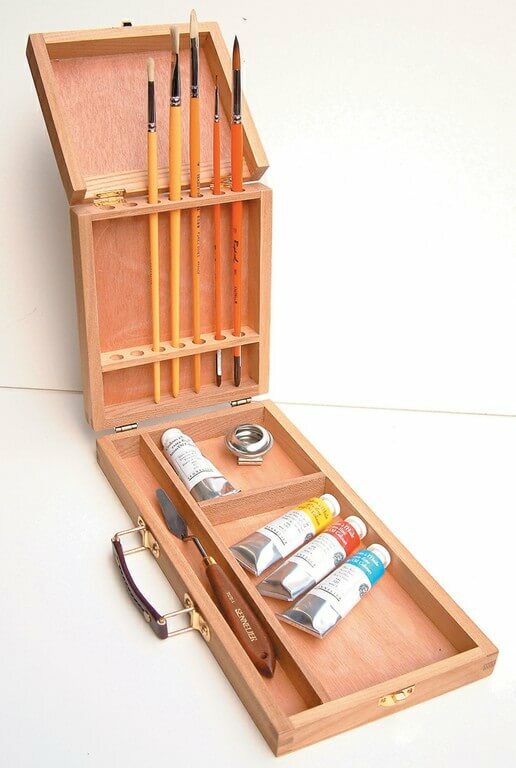 A compact folding wooden box designed for safely storing brushes and art materials while travelling. Available in two sizes. 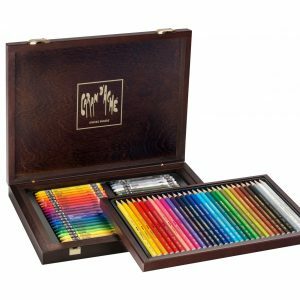 30 Prismalo watersoluble pencils and 40 Neocolor II watersoluble wax pastels in a luxury wooden box. Made by Caran D’Ache. 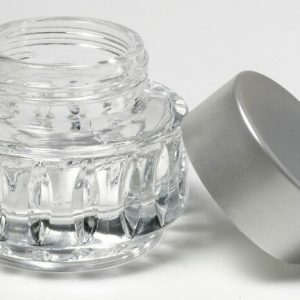 Beautiful glass ink well with screw top lid. 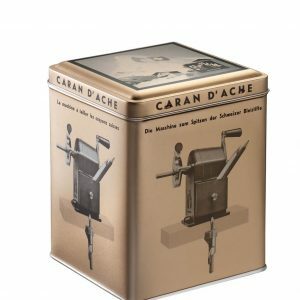 This top of the range desktop sharpener by Caran D’Ache makes a superb and unique gift. Beautifully packaged and made to the highest specifications. Beechwood table easel with storage draw for the oils and brushes that come with the set. 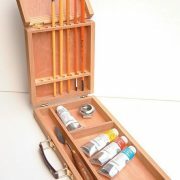 Also includes canvas boards and a palette. Made by Winsor and Newton. 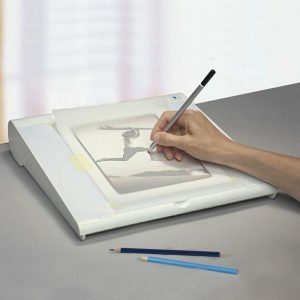 A portable lightbox for tracing and working with transparencies. 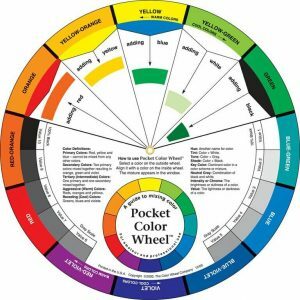 The classic colour wheel showing complimentary colours and mixes. 24cm in diameter. Gorgeous Brause calligraphy set. Includes Nib holder, 6 nibs and ink. 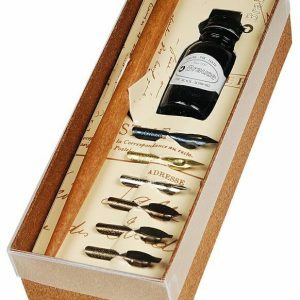 J. Herbin Quill Set. 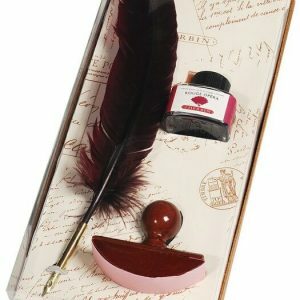 Includes quill, ink anjd blotter in beautiful packaging. 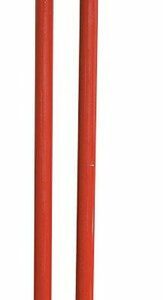 Quality Mahl Stick for the professional painter. 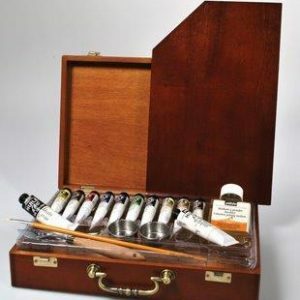 Beechwood case containing 15 37ml extra fine oil colours, 1 large white, 2 mediums, charcoal, 1 soap, 2 brushes, 1 palette knife and 1 wooden palette. Very good value for this generous set.